INDE – Mamallapuram - Mere renovation or repair works cannot reduce the archaeological importance of a heritage structure. 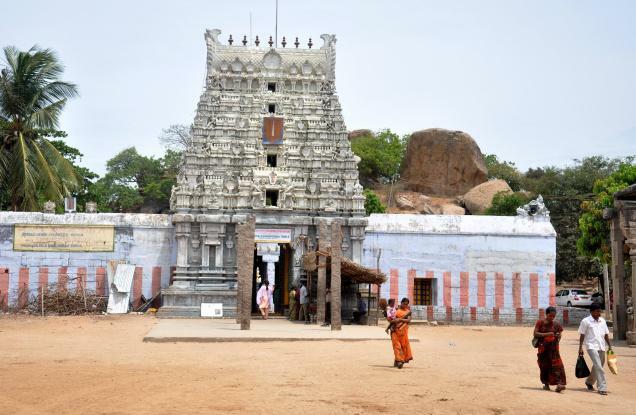 This was the verdict passed by the superintending archaeologist of Archaeological Survey of India (ASI), Chennai Region, G. Maheshwari, on the issue of Sri Sthalasayana Perumal temple, located in the world heritage site of Mamallapuram, losing its importance owing to repair works. When her attention was brought to the continuation of urbanisation activities in the vicinity of monuments protected by ASI, Dr. Maheshwari said the ASI had never opposed minor repairs or modifications on existing structures near protected sites or monuments. However, wilful violation of ASI regulations has resulted in several ASI-protected in Pallavaram and Kadaperi falling victim to encroachment. Efforts have been initiated to identify such encroachment using satellite mapping technology and efforts taken to protect the monuments for posterity, she said. 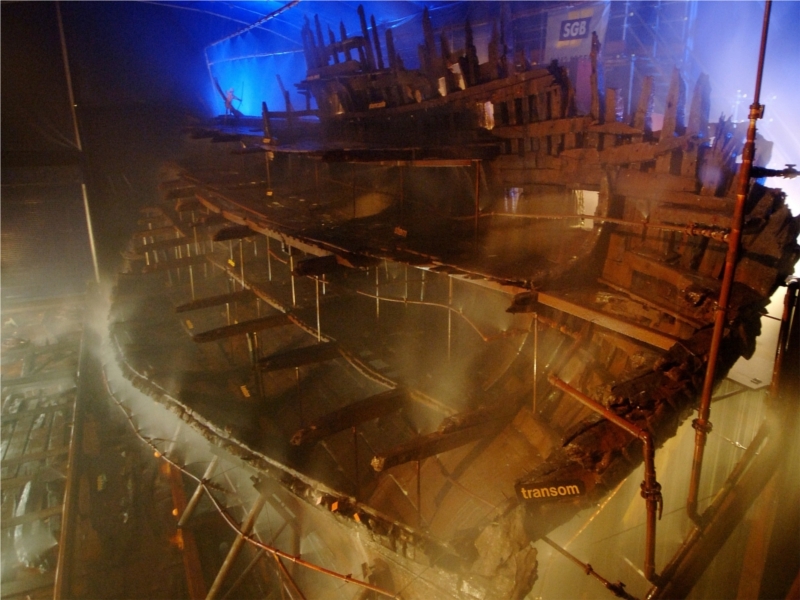 ROYAUME UNI – Mary Rose - A unique project about Henry VIII's warship the Mary Rose, which sank in 1545, is providing information about life in medieval times, thanks to 21st century technology. For the past 18 months the Mary Rose Trust has been working with sports scientists from the College of Engineering at Swansea University to discover more about the lives of the medieval archers on board the ship.When the ship was raised from the Solent in 1982, many thousands of medieval artefacts along with 92 fairly complete skeletons of the crew of the Mary Rose were recovered. Nick Owen, Sport and Exercise Biomechanist from the College of Engineering at Swansea University said, “This sample of human remains offers a unique opportunity to study activity related changes in human skeletons. It is documented that there was a company of archers aboard when the ship sank, at a time when many archers came from Wales and the South West of England. “These archers had specialist techniques for making and using very powerful longbows. Some bows required a lifetime of training and immense strength as the archers had to pull weights up to 200lbs (about 90kg).” Alexzandra Hildred, Curator of Ordnance at the Mary Rose Trust explains, “It was a requirement by law for every male to practice archery regularly from an early age, and many of the skeletons recovered show evidence of repetitive stress injuries of the shoulder and lower spine. This could be as a result of the shooting heavy longbows regularly. Being able to quantify the stresses and their effect on the skeleton may enable us at last to isolate an elite group of professional archers from the ship.” Mr Owen and his team are basing their research on the biomechanical analysis on the skeletons of the medieval archers to examine the effect of a life of using very powerful longbows on the musculoskeletal system. Part of the process of analysing the skeletons involves creating 3-D virtual images so that measurements can be taken from the remains without causing any damage to the valuable heritage artefacts. USA – San Antonio - Archaeologists are working to unravel the mysteries behind historical human remains and artifacts found at Mission San Juan. The discovery was made in early summer but wasn't announced until just recently. Turns out, back in late 18th Century, the church was also a burial ground. "At least a number of those individuals were descendents of Native Americans, basically, who would have been brought into the missions by the Spanish," said Steve Tomka, director of the University of Texas-San Antonio's Center for Archaeological Research. Researchers believe there are remains of 20 to 25 people, including infants and teenagers. The remains date back from the 1780s to about 1825, a time when the missions were at the center life and culture in the San Antonio area. "People were tyring to start farming and trade and so it's very important in the beginning part of our city growing," said Lindy Martinez, UTSA research scientist assistant. USA – Trussville - The building of Trussville’s proposed new stadium has been held up because it seems someone else built there first. Due to the project’s location on the Cahaba River, the government requires archaeological surveys to be conducted before any project can begin. According to Matthew Gage, Director of The University of Alabama’s Office of Archaeological Research, two new areas were explored and an older site was re-explored. According to Gage, the dig in question actually contained two distinct temporary settlements. The settlements were found at different elevations and correspond to the ever-changing ebb and flow of the Cahaba River through the ages. The site is described as a “light to moderate dense artifact scatter composed of lithic and ceramic material.” This means items from the site date from stone made tools and implements to man-made pottery. The findings or “features” of these excavations place the time period of settlement to be not only considered pre-European exploration, but before the founding of known tribes in the region. “The results from the testing indicated… a date range extending from the Late Gulf Formational/Early Woodland period (500 to 100 B.C.) through the Late Woodland period (ca. A.D. 600-1000),” the official Phase II testing summary states. “This chronological assignment is based on the recovery of diagnostic projectile points and ceramic.” The older of the two sites in question is at a higher elevation to the northeast of the site from a time when the area was likely flooded by the river. The lower site to the south was from a time when the banks of the river were much lower. According to Gage, the area seems to be one that was used from time to time to gather resources in a time when groups of people were generally nomadic hunter-gatherers and vegetables and fruit were gathered rather than planted. As such the camp saw occasional seasonal settlement as a base camp. Gage believes this is one of the earliest sites in the area. Debitage, or the discarded remains left over from the production of stone tools or rejected implements, is limited or moderate meaning that there was very little on-site manufacturing of tools. The nature of the debitage shows that the initial manufacturing of tools must have been done off-site. The use of locally found Knox chert points to a nearby processing area. However archaeologists have found cast-off implements and debitage manufactured from Tuscaloosa Gravel and Tallahatta Sandstone which point to travel, or at least, trade with areas as far to the west as the Black Warrior drainage and as far southwest as the Tombigbee and Alabama River drainages. Two artifacts, one Flint Creek point – a large finely serrated spear point or dart – and one piece of Alexander Incised pottery – a piece of pottery featuring rectangular designs generally found in the Tombigbee region – were found at the older of the two sites. An oven and a living surface – possibly a dwelling floor were also found at the excavation. Inside the stone oven a Nolichucky, or triangular finely serrated, Tennessee valley-style projectile point/knife was found made from the non-local Tallahatta stone as well as a Coosa Stemmed or triangular convex based projectile point/knife and some shards of plain pottery. These items date back from 500 B.C. to 100 B.C.